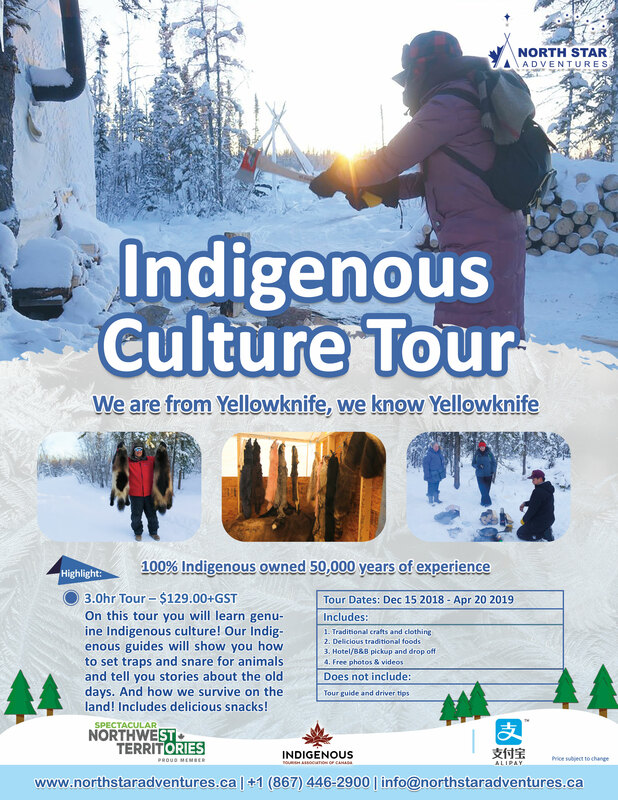 On this tour you will learn about our Indigenous culture! 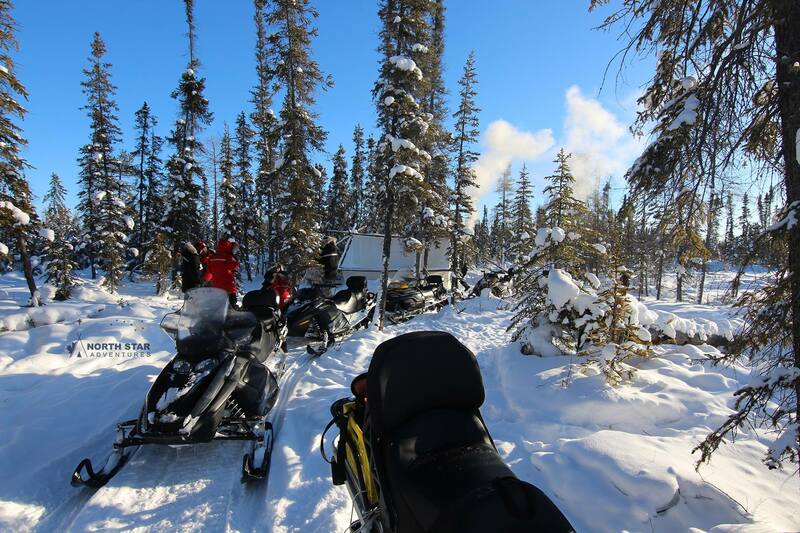 We will take out to winter camp set in the wilderness outside of Yellowknife, to get there we will need to drive across the frozen lakes! 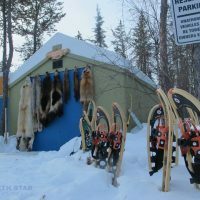 Once here we will gather inside our warm and cozy traditional trapper’s tent, large enough for 10 guests and 2 guides comfortably. For the next 2 hours our Indigenous guides will talk about our culture, about how life was like in the old days and how we are trying to preserve our traditional ways in a new, modern world. 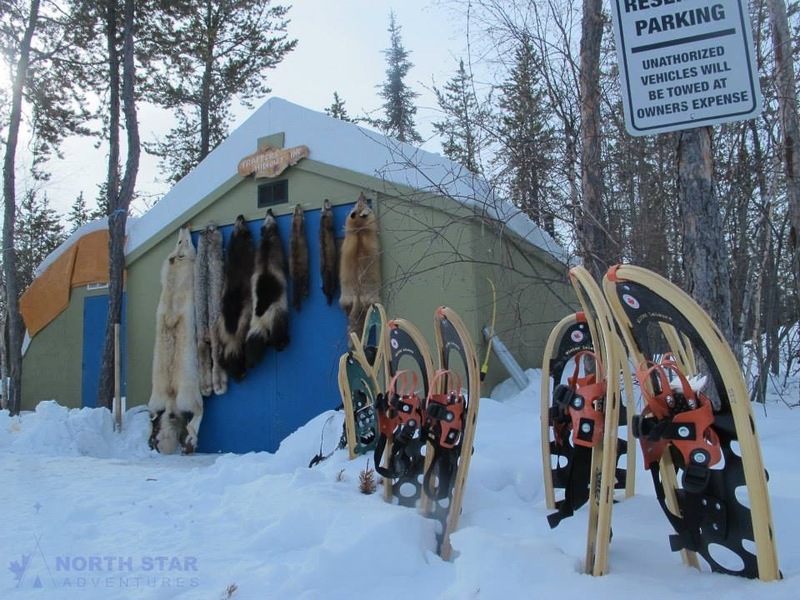 We will snowshoe to our trapline and show you how we set traps and snares to catch the animals we use for food, clothing and medicine. 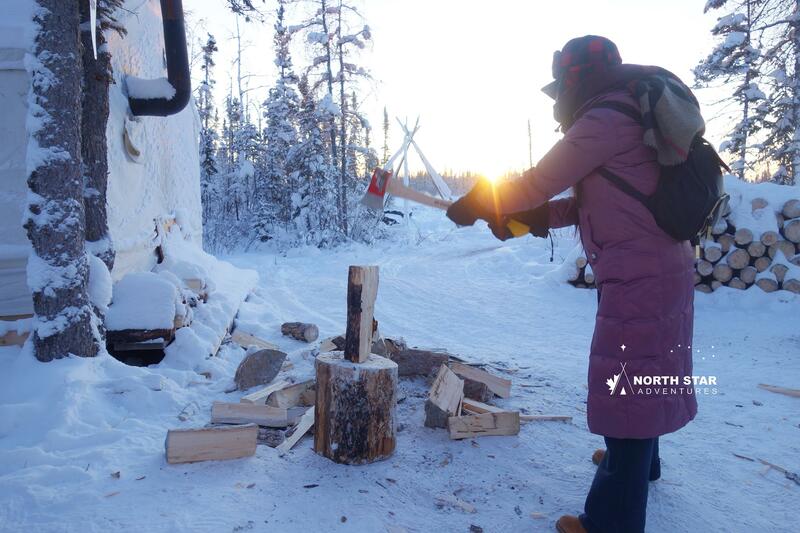 After snowshoeing back to the tent, we will cook delicious traditional foods such as fresh pan fried fish, North Star’s famous traditional frybread and dryfish. While enjoying these delicious foods, our guides will tell stories about the old days and you can try on some of our traditional clothing for some cool photos! Click here to book this very cool tour! Stay nice & warm while saving on baggage space and cost! We offer winter clothing rentals to keep you toasty warm! 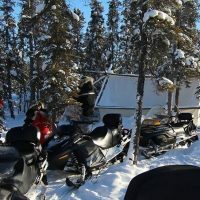 Includes the world famous Canada Goose down parkas, insulated ski-pants, Sorel Glacier boots, warm mitts and neck warmer. Ask about delivery charge to your hotel or B&B. Click here to book your Winter Clothing.